NEW DELHI: The National Green Tribunal came down heavily on Delhi and other neighbouring states for not taking steps to control stubble burning and directed them to give complete mechanism on implementation of its directions to curb air pollution. A Bench headed by NGT Chairperson Justice Swatanter Kumar took to task the secretaries of Delhi, Haryana, Rajasthan, Punjab and Uttar Pradesh for not implementing its orders on crop burning and containing air pollution. “What did you do when all this smog was going on and the particulate matter reached beyond prescribed limits? What steps did you take, except till yesterday? For the first five days nobody did anything, be it the states or the Centre. Show us one thing visible to common man,” the bench said. The green panel also passed a slew of measures to improve the ambient air quality in the national capital including banning construction activities and operation of stone crushers and brick kilns for a week in Delhi and NCR. During the hearing, the Bench also castigated the AAP government for shutting schools without conducting any scientific study and asked how it came to the conclusion that pollution indoor was better than outdoor for children. It also rapped Delhi government for sprinkling water through cranes instead of choppers to control dust pollution. The tribunal directed the municipal corporations of Delhi to depute 50 per cent of their staff to go to various sites across the city to ensure no dust pollution is caused due to construction and there is no burning of municipal solid waste. 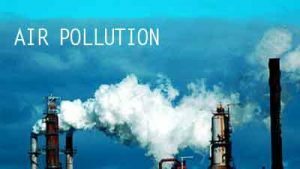 It also asked Central Pollution Control Board (CPCB) to collect ambient air quality data for a period of one week in collaboration with Delhi Pollution Control Committee (DPCC). The NGT deferred the matter for hearing tomorrow after it was informed that the Supreme Court was also hearing the case.